The FAMCO WVEBH6 Hooded Wall Vent – Screen, Damper, Spring & Gasket – HD Powder Coat Black 6 Inch. 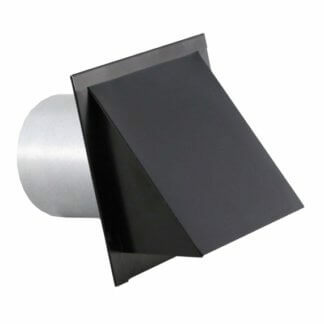 A hooded wall vent that is primarily used for air exhaust applications. The big mouth hood offers less restriction to air flow. 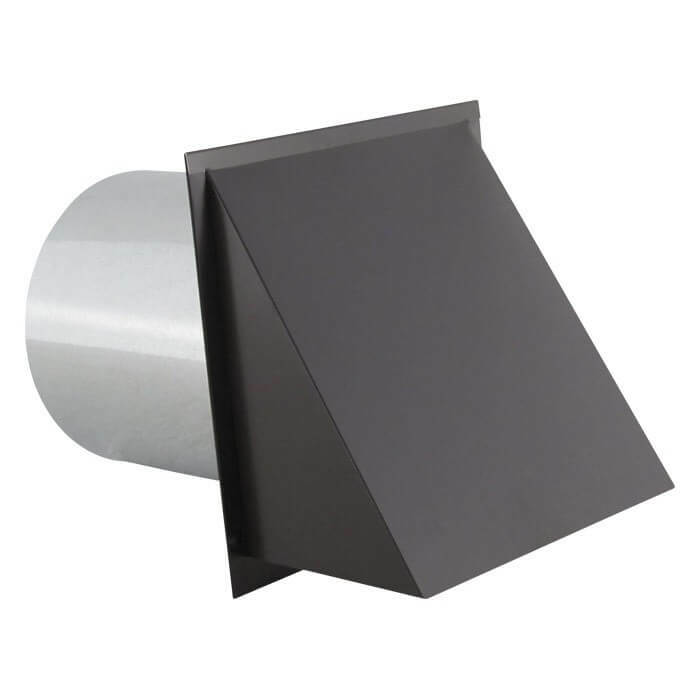 It’s made from heavy duty 24 gauge G90 Galvanized steel with a Black Powder Coat finish. 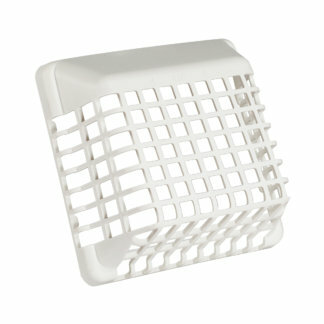 The vent cap comes with a built in spring loaded damper, gasket and removable screen. 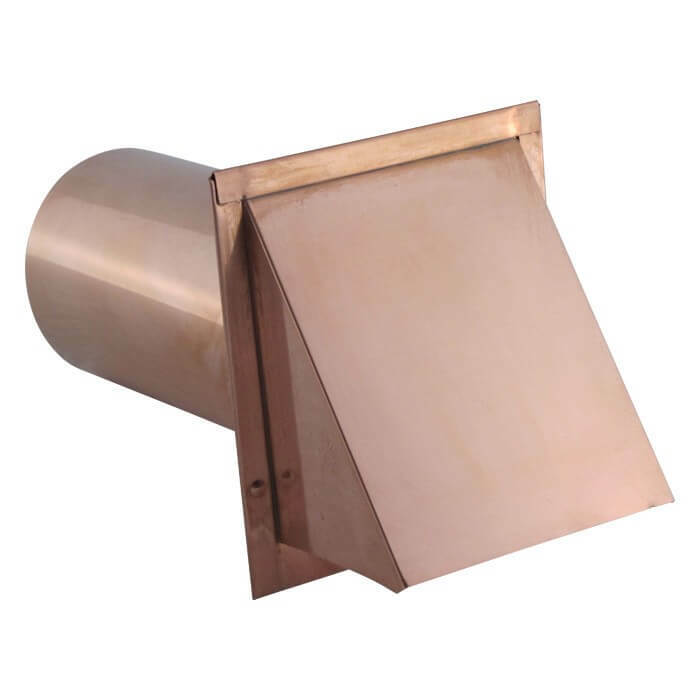 The FAMCO WVEBH6 Hooded Wall Vent wall vent includes a ¼ inch screen to prevent insects from getting in and a built in damper for opening and closing the vent. Available in 6 inch size only. Optional Stucco Ring is also available. 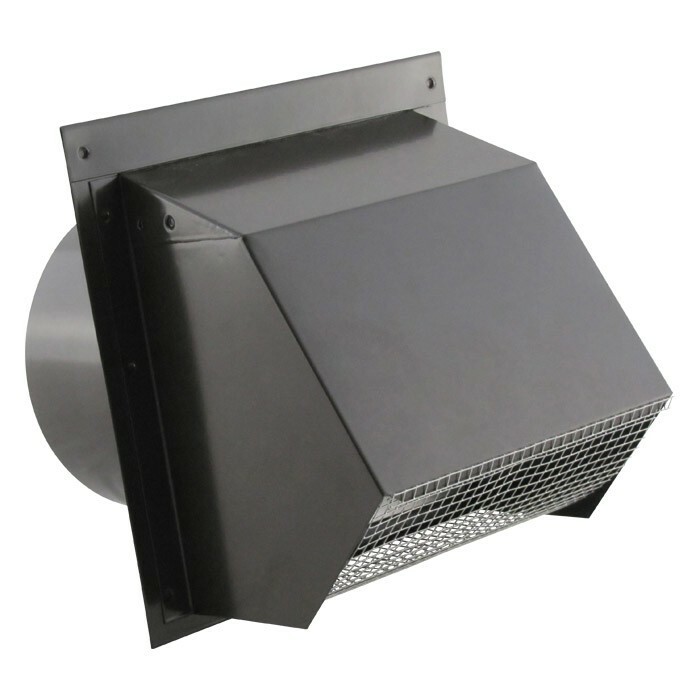 The FAMCO WVEBH6 Hooded Wall Vent wall vent is manufactured by Famco in the United States and comes with a 1-year warranty against product defects and workmanship. If you have any questions about this wall vent, please refer to the FAQs above or feel free to contact us by phone or email. 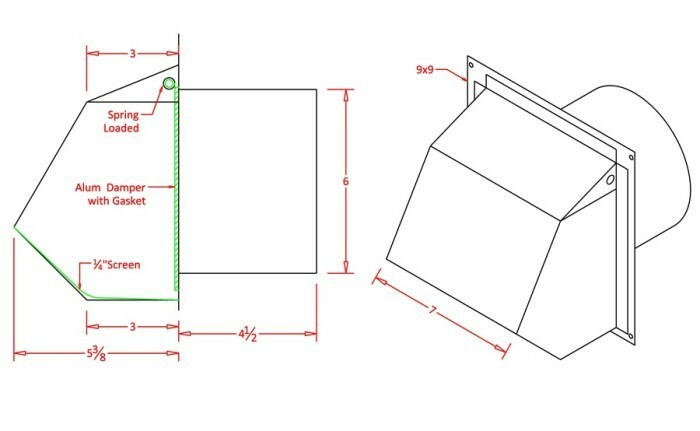 Download the WVEBH6BK product PDF. 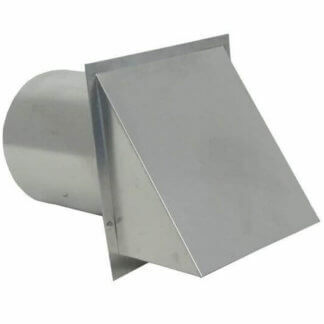 I ordered this product for a new house construction range top vent. It is made once ordered but still arrived in about 7 days. Good points, it us well made and fits the description. Be prepared if mounting on exterior stucco. The mounting holes are too small for exterior tap con screws, and had to be enlarged. The sheet metal is thick enough to use a step bit comfortably. I would also suggest adding an additional mounting hole top center to pull it in tighter to avoid water infiltration. I would recommend this product. Great product and service thanks!